One of Sai Baba devotee shared her experience. She says “I want to share a miracle that happened on the last Amavasya. Being Amavasya, we went to amman/ ammavaru/ devi temple in the morning. As a ritual, purohit tagged dhaga on the hand. 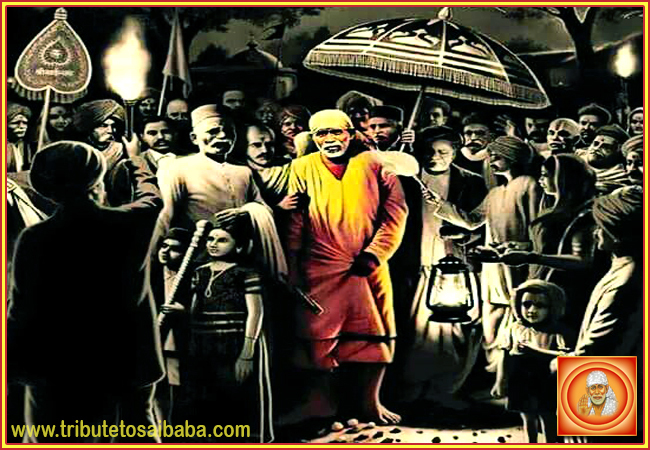 I am not sure that I said ‘Om Sai Ram”, immediately, the Purohit said, you are Sai child and no matter where you go, a shadow of Sai will follow you. I just had goose pimples and tears started coming out at the same time. I also visiting the temple the evening. On my way back to home from the temple, as I usually carry money else food in my hand to give anyone in need. I saw one man coming to me asking for food. He didn’t accept money.